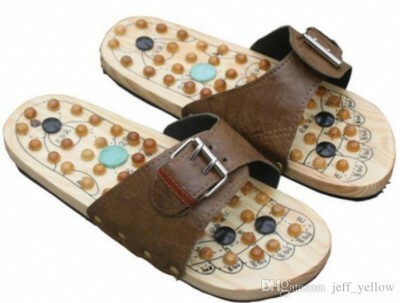 Wooden Slippers Reflexology Shoes Acupuncture-C: 0265. 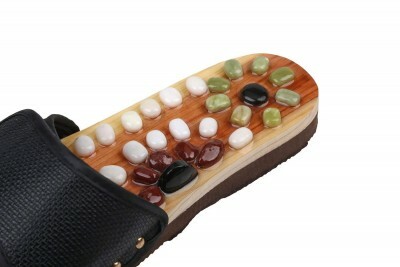 - Product Name : Wooden slippers Reflexology Shoes Acupuncture / health shoes, Home Shoes, Foot Reflexology Shoes / Foot Massage. 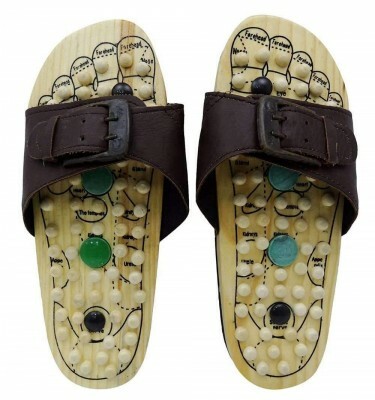 - About the product : 【Foot Massage】: This massage slippers are rooted on principles of reflexology and traditional Chinese medicine, massage your feet acupuncture points, relieve fatigue, lift your spirits, keeping your body health and happy. 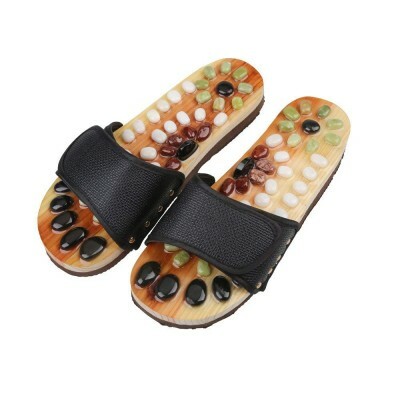 - 【Function】: The massage slippers will give your feet a comprehensive relax : 10 - 15 minutes every day, will relax your body and mind. After using it, you should drink plenty of water, Promote your body's metabolism. 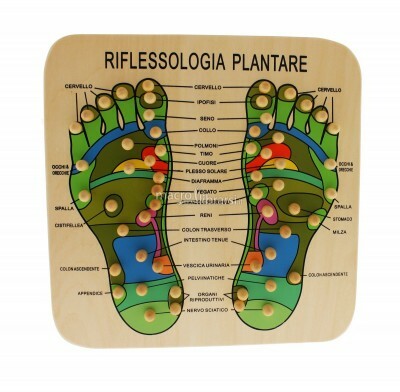 - 【Ergonomic Design】: the surface Decorated with Natural Cobblestone Wood, in Special position, will accurately massage your feet acupuncture points - Adjustable shoe surface, you can choose the right Instep heights. Wooden middle shoe sole, it is lightweight and environmental. 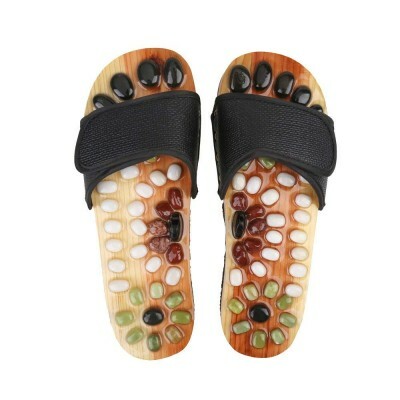 - 【Application】: Wearing these massage slippers, you will feel cool and comfortable in summer and feel warm in winter. It will lift your spirits, wash in the morning - relieve stress at work, and improve your productivity at office. - Pay Attention : The first time your feet may feel pain and uncomfortable, this is the normal situation, you need time to get used to them. In the beginning, you can wear it within 10 minutes, then add the time, if you feel comfortable, but if you begin feel discomfort, stop immediately. After wearing the slippers, you should drink more 300ml warm water, it will better to promote your body's metabolism. Specification : Color : Wooden Colour. Dimension : 24.8 X 8 / 2.8cm. 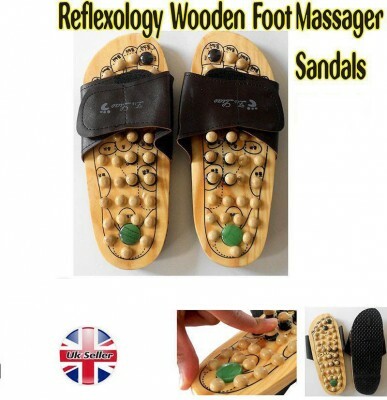 Package Included : 1 x Pair Foot Massage Slippers.